While many think America as being the land of cookie cutter houses a-la the 1950’s baby boom, chances are that if you look around your city or town, you’ll be able to spot a half-dozen of different styles of architecture and roof designs. Extend your range to another part of the country and you’ll encounter even more variety, each shaped by unique climates, cultures and available materials. While it may be true that shingles of the asphalt kind dominate the landscape, the range of roof options available to residential customers today has grown over the years. In addition the quality and service life has vastly improved as well. In this article we will explore some of the most common styles of residential roofing in the United States. If you are looking for a re-roofing project on a budget, you need not look further than an asphalt shingle roof. Asphalt roofs are a very popular choice in a market where price and overall appearance are the leading factors when choosing the best roofing style for your home. Although asphalt may not be long-lasting as some of the premium roofing materials like metal, slate, clay tile, and cedar shakes, it can provide good protection and a great look to your home. All this only for a fraction of the cost you may have to pay for a premium roofing solution. Asphalt shingles come in two categories such as organic and fiberglass. Organic shingles are based on waste paper saturated with asphalt in order to make it waterproof, and fiberglass is made with a base of glass fiber reinforcing mat. This mat is then coated with asphalt and mineral fillers to make it waterproof. The many advantages of asphalt shingles include cost efficiency, easy installation, lightweight, different colors, look and texture, and a lifetime of 10-30 years depending on the maintenance. Clay tile roofs are a popular choice for homeowners in dyer, hotter regions of the country including the Southeast and Southwest. While the design style may vary depending on the region, the material consistency of the clay tiles remains the same. Manufactured by baking molded clay into the tile in a kiln, the tile is then glazed and may have surface texture treatments applied to it. The result is an durable and consistent tile available in a limitless mixture of tile textures, colors and patterns. Durability is probably the biggest advantage of a clay tile roof. It lasts for more than 100 years when maintained. 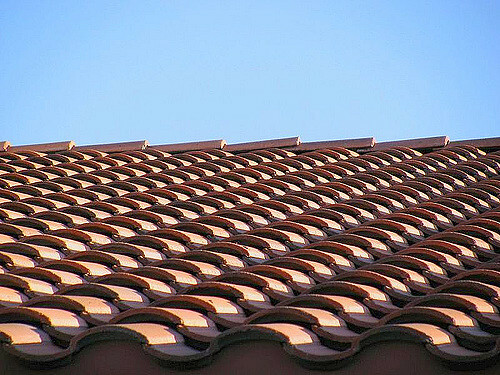 Tiles come in all sorts of shapes, colors, styles, and sizes which are the advantages of using clay tiles on your roof. 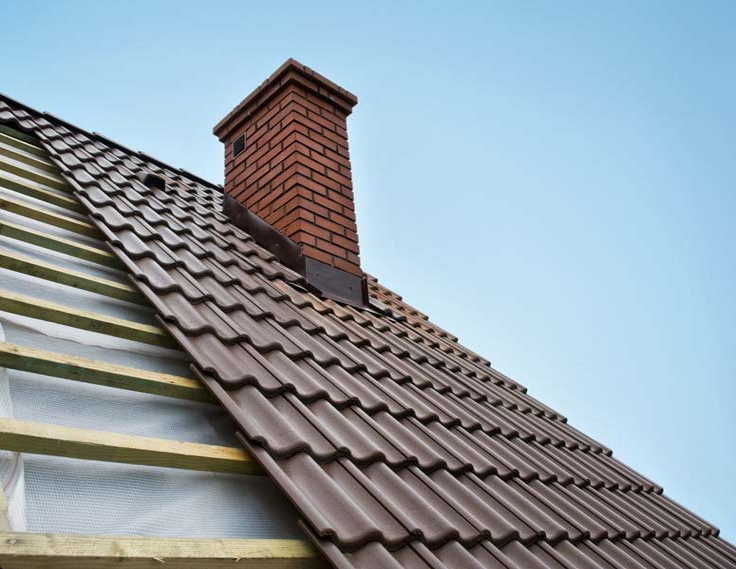 Clay tiles have effective reflective properties which help improve the efficiency of the heating and cooling system in your home and can withstand hurricane-force winds and do not shrink and expand with the temperature similar to wood. Additionally clay isn’t susceptible to rot or mold. As a less expensive alternative, you may consider concrete tiles rather than clay. These tiles are made of portland cement, water, and sand mixed in varying proportions and extruded on molds under high pressure. Heavier than clay and more susceptible to heat, moisture and temperature changes, concrete tiles can last 50 years. In the roofing material pecking order, Slate is considered by many professionals as the perfect material. Natural slate has been acclaimed for centuries for its remarkable longevity and natural beauty. It will not burn, corrode or damage easily and when it comes to longevity, there are only a very few roofing materials that can compete with slate. Slate roofs easily last over 100 years with manufacturers offering a 100-year warranty on their slate roof manufacturing systems. Low maintenance and a higher resale value are the other important benefits of a slate roof. 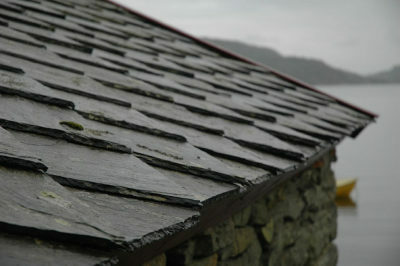 The most attractive feature of a slate however may be its natural beauty. As unique as the quarry that mined it, natural slate stone has a distinct grayish blue hue that can vary slightly to create a menagerie of color variation on a roof that isn’t obnoxious. It is a metamorphic rock, which means that it’s been formed deep in the earth by extreme heat and pressure. This environment creates an extremely durable rock, which can be easily separated into thin layers. High cost of material and labor are what make most homeowners shy away from using slate. Depending on the overall quality, thickness, and grade of the slate material, customers can expect to pay four to five times as much on material costs relative to standard asphalt shingles. And because slate is so heavy, installation can be extremely difficult with these costs often exceeding the slate material price. If you’re set on a slate roof, be sure to properly vet your roofing contractor. 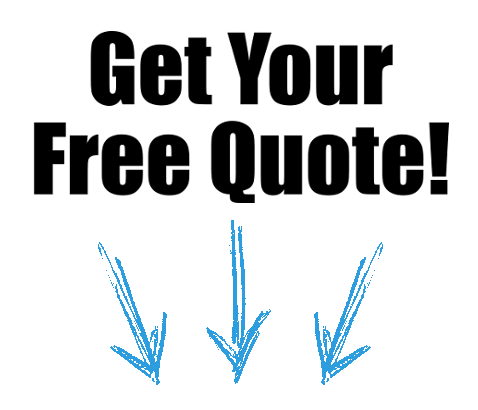 Get references to make sure they’ve had plenty of experience installing a slate roof. In terms of cost and quality and available options, thermoplastic polyvinyl chloride (PVC) a.k.a vinyl roofing may just be the perfect roofing solution for your home. Since it is a plastic, it can be molded into shapes resembling more expensive options like seam metal or even slate. Waterproofing ability, strength, fire resistance, and durability are some of the main features of this roofing system and can be easily made in lighter colors to keep your home cool during the hot summer months. It is an ideal solution to curb your energy bills in the long run. PVC roofing systems stand up to some of the toughest environmental conditions out there. PVC systems help enhance the aesthetics and curb appeal of your home. On the other hand, PVC is highly resistant to chemical damage, fire, and the wind. They remain watertight in extreme conditions. Costs can vary from $4 to $6 per square foot including labor and ranges due to the complexity of the pattern and the thickness of the PVC. Rubber roofing (EPDM – single ply membranes) is a common roofing system for flat roofs in cooler climates like New England. The standard color for EPDM is black, making it inefficient and failure prone in hotter climates. The lower investment is the main reason for the popularity of rubber roofing system and should last the homeowner for more than 15-20 years with regular maintenance. While this style roof requires minor maintenance compared to other roofing systems, they do take a beating from the element relative to pitched roof systems and do need to be patched on a regular basis. Rubber roofing systems are environmentally friendly since rubber is made from recycled materials and takes less energy to produce. Additionally, EPDM rubber is fire resistant and can be energy efficient if you select a lighter color rubber (more $$$). Used for hundreds of years in the Southeast part of the United States to reflect sunlight, standing seam metal roofs offer an exquisitely modern look to your home. It is quite durable compared to most of the other roofing systems and is gaining in popularity among discerning homeowners around the country thanks to host of benefits such as a greater curb appeal, longevity, impervious to moisture, sheds ice and snow, sustainable in the long run, and availability of a wide variety of colors and styles. These benefits do come at a cost and it’s mainly on the material side, however installation can be tricky, so it’s good to go with a company with some experience in installation need both specialized knowledge and tools for installation. Not to be used on a flat roof, there is a minimum slope requirement to install a standing seam metal roof. It should not be installed on a roof with a pitch of 2:12 or less (two feet of vertical rise for every twelve feet of horizontal span). Looking for a qualified Roofing expert for your home roofing project? Give Roofing TRI a try! We service the Durham / Raleigh / Chapel Triangle and would be happy to talk to you about your specific needs. We’re happy to give out free advice too! Call us today at (919) 296-0017.